Limited Edition of 1000 Copies, 3LP in Gatefold Sleeve. To celebrate our 20th anniversary with our fans, we made a special BEST OF album. 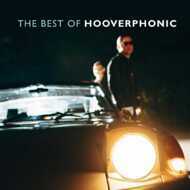 'The Best of Hooverphonic' compiles no less than 32 hits and our brand new single YOU.